Check out the list of 2017 winners here! The Kitomba NZARH Business Awards were created to build a culture of recognising and celebrating business excellence in the hair and barbering industry. The Business Awards is all about recognising the best in the industry, celebrating your success in business, focusing on your goals and motivating your team. The Kitomba NZARH Business Awards are celebrated alongside the HITO Next Generation Talent Awards at the Industry Awards event. 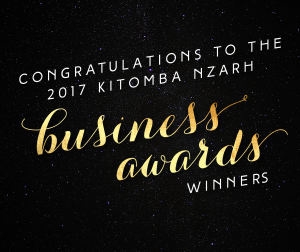 Congratulations to the winners of the 2017 Kitomba NZARH Business Awards! The Business Awards will be back in 2018.